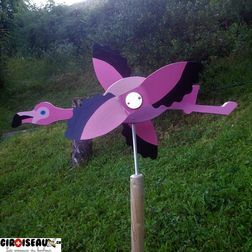 Welcome to Giroiseaux.ch, discover our beautiful wooden weathervanes to decorate your garden! 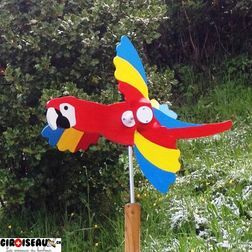 Ladies and gentleman, you are looking for an original handcraft weathervane for your garden and you love birds, we can help you! Have a look at the video to see our weathervanes in action! 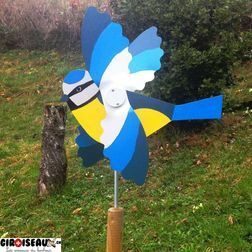 Technically, a giroiseau is a weathervane representing a bird with wings turning with the wind. It is made with high quality materials (wood, PVC, high weather resistant paint, stainless bearing) and meticulous care. Each weathervane is unique: its size, its shapes and its colors change according to the inspiration of the artisans and birds represented. Indeed, the cutting of wood for the body and PVC for the wings is done manually with the jig saw by Lorenzo and the whole is brush painted and assembled by Fanny. 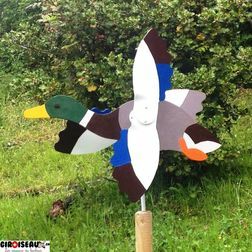 Our weathervane is very easy to mount in your garden, all information is given in the "mounting" page. 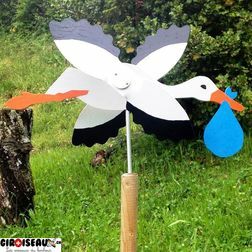 For us, weathervanes is a passion, a handcrafting activity given to us by the grand-father, that we would like to continue since 2015. 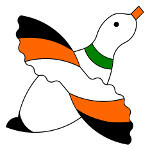 So, being you adults, children, or even better adults with the soul of children, you are welcome on our website, where you can find all our creations! A very nice decoration for garden! 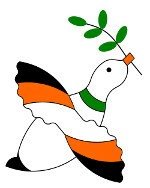 Historically, birds have always been present in the sacred places of the different cultures and civilisazions. Birds are then considered in direct contact with the deities because of their capacity of flying and they can act as a bound between the divine and the human world, the Earth. Places visited by birds or places where they build their nests are always considered as magic and the peculiarity of these places varies according to the bird who lives there. So, in addition to its beauty as a decoration, each weathervane can represent a present with a special meaning. You can find all information in the description of each weathervane.